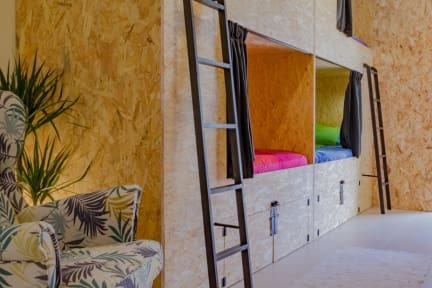 Algarve Surf Hostel i Lagos, Portugal: Reservér nu! The best staff that was SO friendly and awesome. Chill atmosphere and not a long walk from the center. Surfing offered was the best experience ever! and all the get-together on the hostel was what every traveller loves!